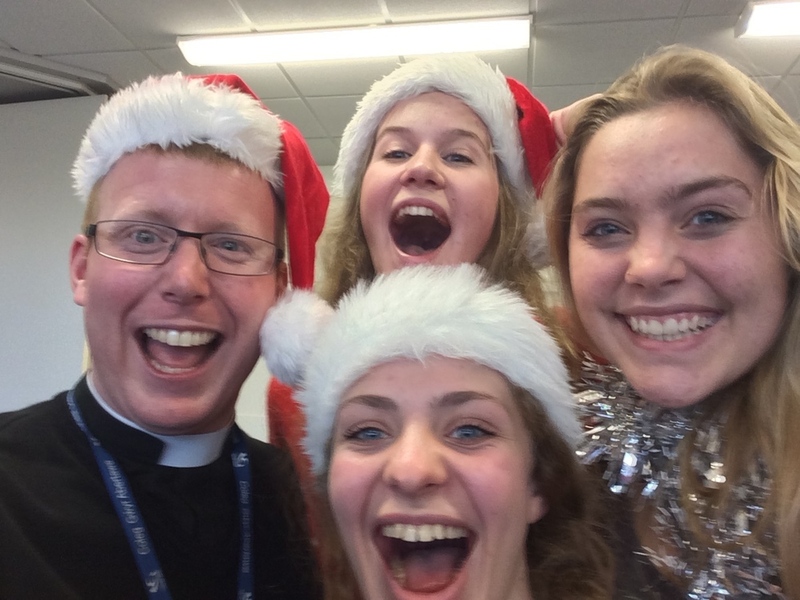 The Chaplain with members of the College Community at a special Christmas event. The College CU meeting in the open air during a beautiful summers day! The Church has a good relationship with Gower College Swansea, a Further Education College with over 2,000 students and staff. Traditionally, our Curate has also worked as Chaplain to the college community, offering help, support and encouragement to people of all faiths and none. Naturally, however, as a Christian priest, the Chaplain is happy to discuss issues of faith with anybody who might wish to do so. He also aims to support and encourage Christian students and staff within the College community. He does so chiefly by encouraging the work of the Christian Union. They are currently running the Alpha Course, a course that aims to explain some of the basic aspects of Christian Faith. There are also frequent faith debates held in College that relate to issues of faith and visiting speakers are invited to join us on a regular basis to address different issues. Adrian fully understands the pressures of student life, having been an university student himself for more than a decade. He is happy to meet with students and staff on a regular basis. Anybody wishing to contact him will find his contact details here. What does the Chaplain do? The Chaplain is available to listen to, support and encourage all members of the College community. He is happy to meet with students and staff of all faiths and none for fellowship or to offer pastoral care. The Chaplain aims to support the Christian students and to help them grow as disciples of Jesus. 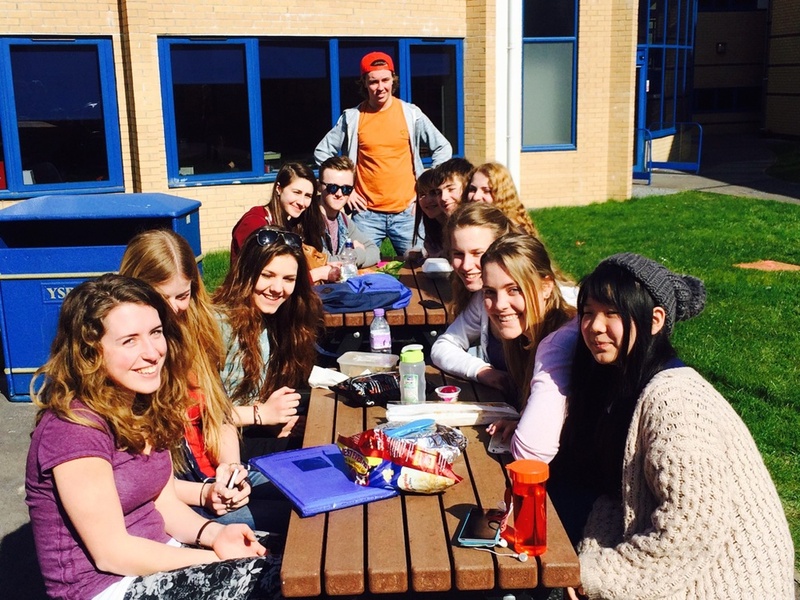 He attends the regular meetings of the College Christian Union and all other student faith-based activities. The Chaplain is occasionally called upon to lead acts of worship in College. 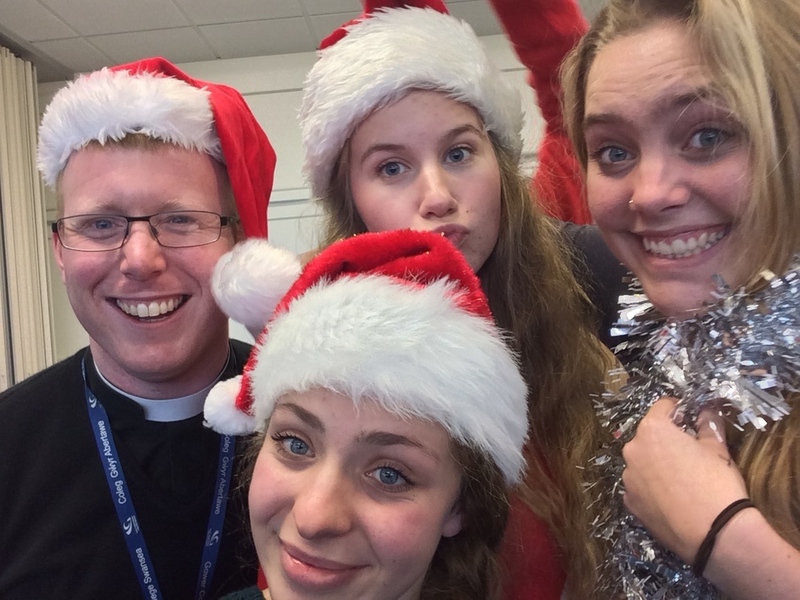 He will sometimes share the Eucharist with those who wish to participate, he leads a regular student Bible Study and helps to co-ordinate weekly prayer meetings. He would love to hear from you if you'd like to get involved. Are you a student in Gower College?